Hello everyone! I am here to share with you some inspiration for the September Challenge here at Quick Creations! 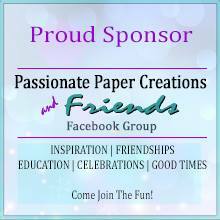 I hope that you will find some inspiration and enter some creations of your own! On my card, I used several products from the shop including The Greeting Farm "Together Anywhere" Rubber Stamp, C.C. Designs "Make A Card #1" Die Set and Lawn Fawn "Sweater Weather" 6" x 6" Paper. I colored the image with my copics. The other products I used was stamps & dies from my August 2014 La-La Land Crafts Club Kit. On Leah's card, she colored Santoro/Docrafts Gorjuss "Ladybird" Rubber Stamp Set with Prismacolor Pencils and paired it with some pretty fall patterned paper. On Michelle's card, she used C.C. 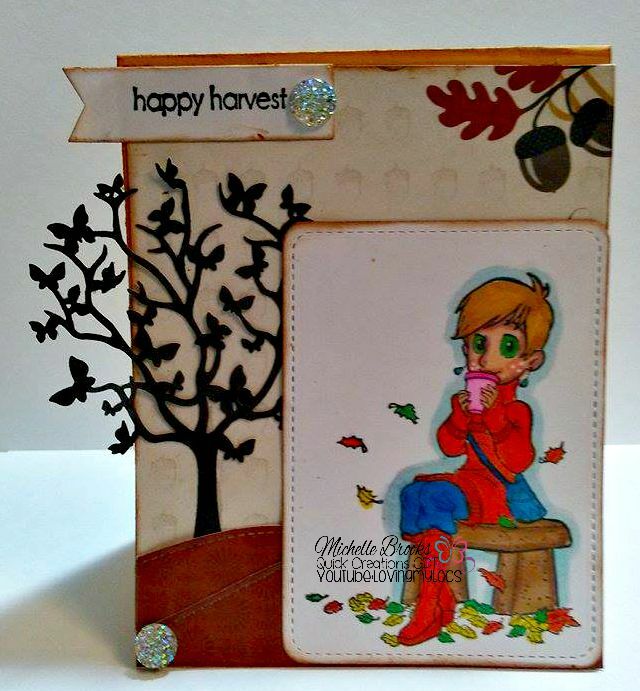 Designs "Latte Sue" with some Lawn Fawn dies from the shop and an AmyR Sentiment set called "Happy Harvest".